#1: The view NW from the confluence. #2: The view SE. 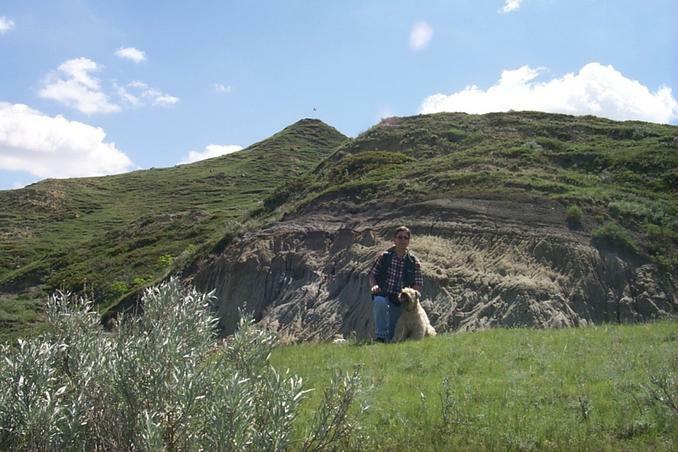 Alan and Max at the confluence point. 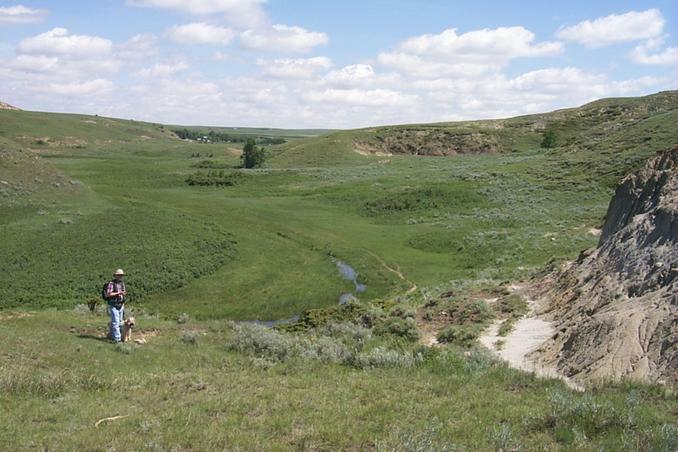 #3: View NE with Alan and Max at the confluence. Ranch can be seen in the distance. 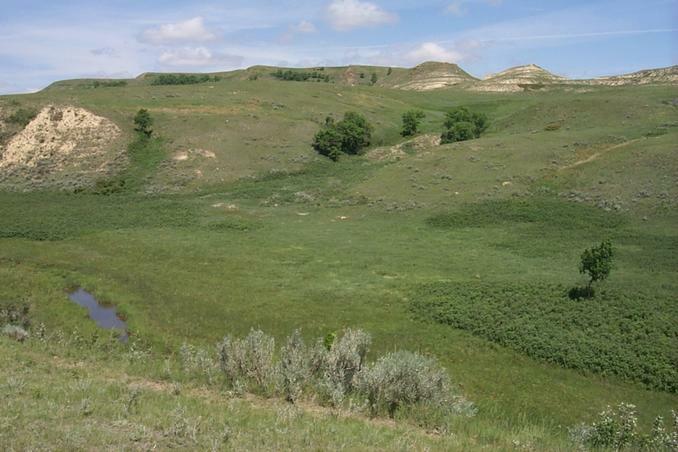 #4: The view looking west from near the confluence. 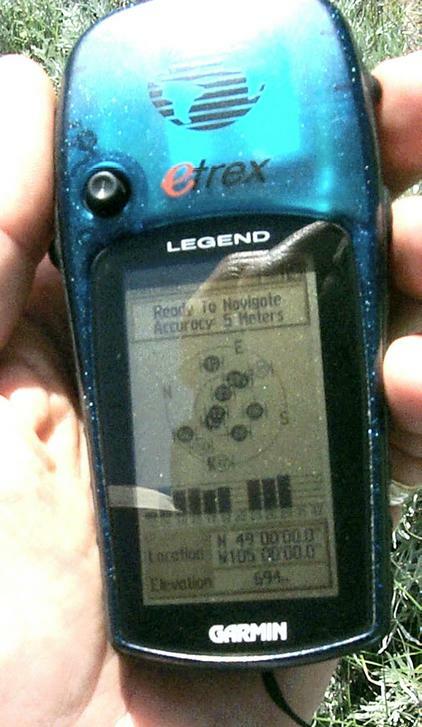 #5: The GPS showing proof. #6: The view east along the border. 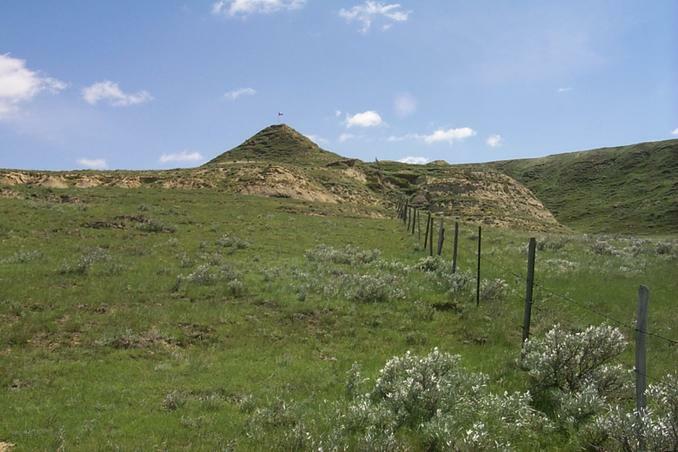 Canadian flag flies on top of Peak Butte. 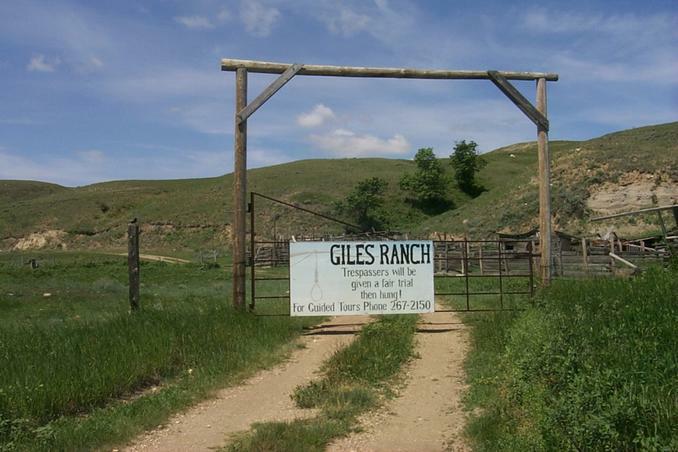 #7: Padlocked Giles Ranch gate. 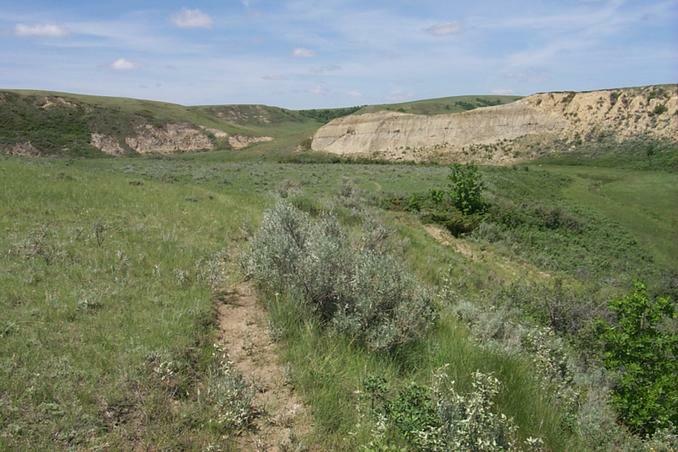 #8: Outlaw cave about 340 m from CP. The sign reads: "Sam Kelly Caves. 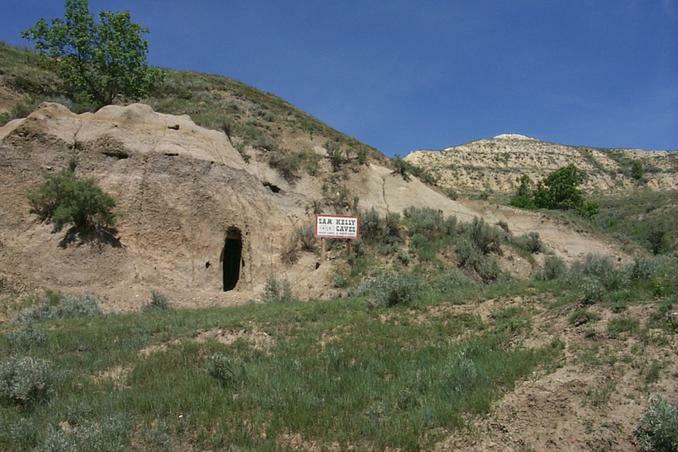 House Caves and Horse Caves". 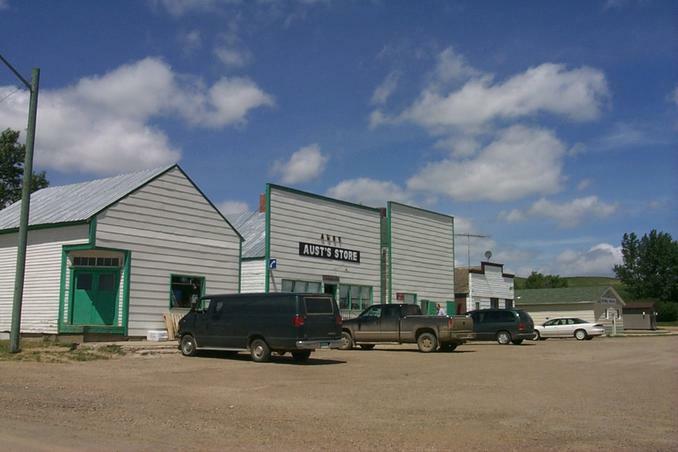 #9: Main Street, Big Beaver, Saskatchewan. 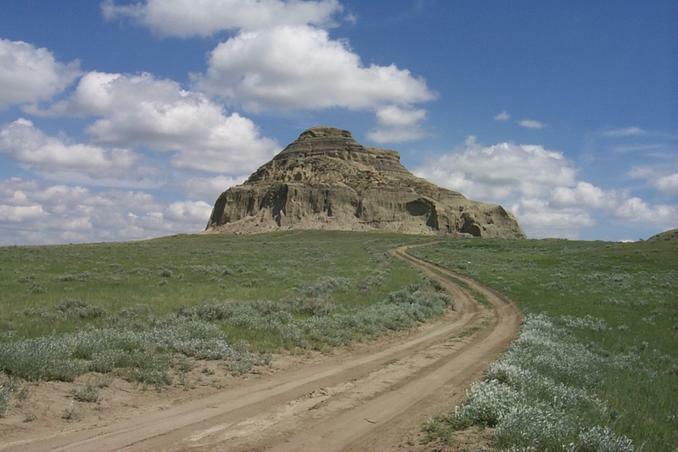 #10: Castle Butte - about 12 km north of Big Beaver.